Wonder Woman is starting a new arc with G. Willow Wilson, creator of Ms. Marvel, writing the world’s most famous superheroine. The comic book community lit up, when it was announced she was going to be taking over, and I don’t think any other writer could have gotten more excitement. Still, Wilson has big shoes to fill after Greg Rucka and Steve Orlando. This issue of Wonder Woman serves as an easy jumping on point. If you haven’t been reading this series, Wonder Woman fought Ares early on in rebirth, and the amazons imprisoned him under Themyscira until he rehabilitates. 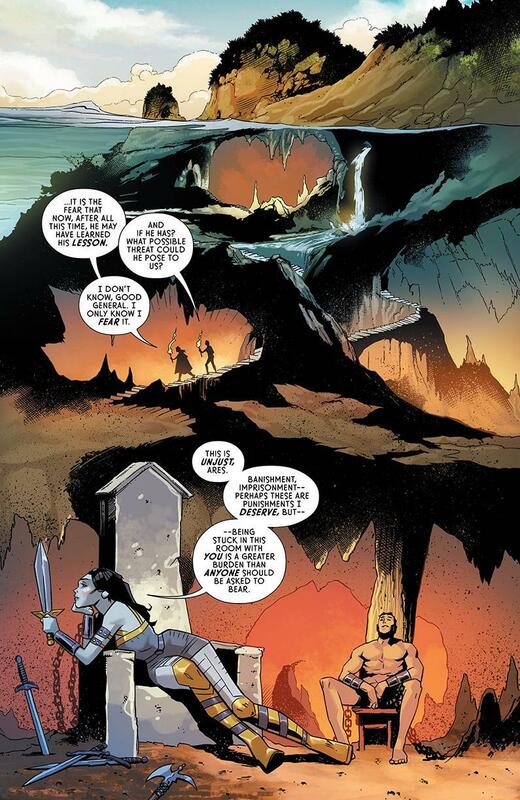 Grail, daughter of Darkseid, lives beneath Themyscira in the same dungeon. In this issue, Ares experiences an epiphany while imprisoned and takes drastic action. Meanwhile, Steve Trevor protects the leader of Durovnia, a country housing the second most Hellenic ruins outside of Greece itself. Steve goes missing, and Etta calls Wonder Woman. In Durovnia, outside of the standard human warfare, mythical beasts duck bullets and bombs. 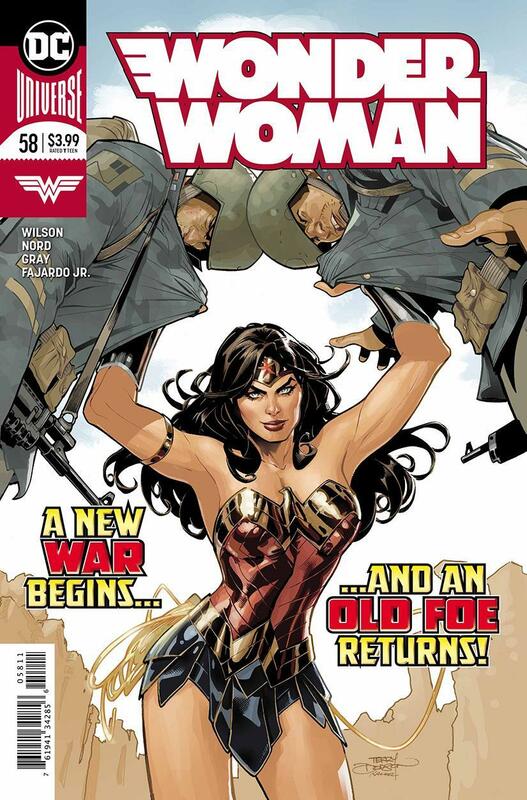 The two plots merge in Durovnia, as Wonder Woman arrives to find a new ally who wants to fight for justice. G. Willow Wilson wastes no time setting up the political allegories that made Ms. Marvel famous. Wilson doesn’t preach to the reader, but instead, she poses realistic dilemmas with no easy solution. Both and neither sides are right. Wonder Woman, Etta Candy, and Steve Trevor sound exactly like they live on those pages. The love and clashes paint Etta as a complex human instead of a predictable trope. My one gripe with the writing: Grail seems to break character in a couple panels. The issue dwarfs compared to the monumental talent with the rest of the characters, though. The story escapes the exposition slogs that plague many new creative teams, while being easy to follow for new readers. The art, though, does not keep the same consistent level of performance. A few of the panels look rushed. While most of the panels are detailed and immersive, the panels immediately preceding or following can be proportioned differently enough that it looks like multiple teams were working on the comic instead of the one. At the same time, some of these pages could be taught. The layout flows smoothly, yet keeps a unique style that pops on the page. Verdict: Buy! This comic launches Wonder Woman into a new arc full of depth and action. G. Willow Wilson again writes a comic that blows you away with the action, yet leaves you thinking afterwards. This is the beginning of a run that will live on as an example of Wonder Woman at her best.